— BJP to protest across 1001 mandals in Odisha against alleged corruption by State government. 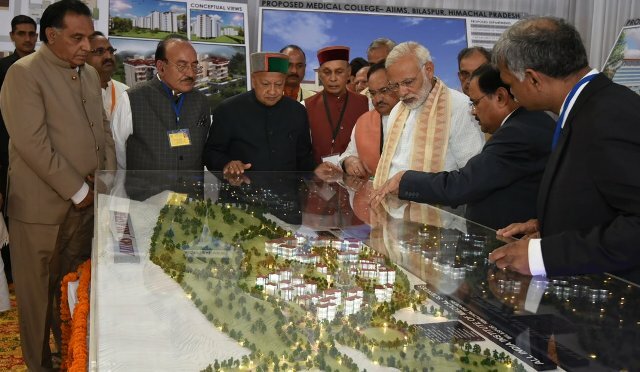 — Himachal Pradesh: PM Modi lays foundation stone of AIIMS in Bilaspur. — Journalist Gauri Lankesh’s killers identified; Need more proof, says Karnataka Government. — 3 JeM terrorists gunned down in total, operation ends inside the BSF camp. — Independent Kashmir legislator Engineer Rashid appears before NIA in connection with terror funding case. — All India Tax Bar Association files PIL in Orissa High Court seeking abolition of GST. — Nawaz Sharif re-elected as President of Pakistan’s ruling PML–N party.